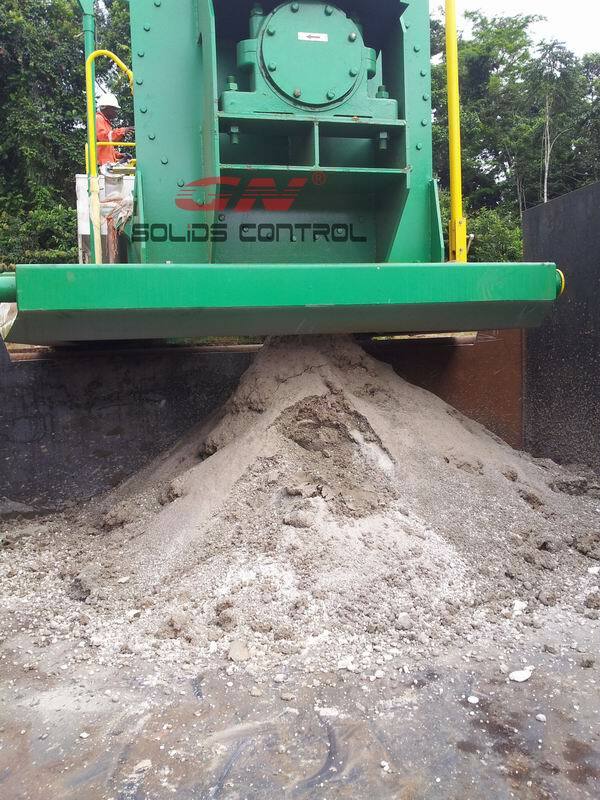 In past couple years, GN Solids Control is keeping research and development the new products so that clients could get a turnkey solution for drilling mud solids control and waste management. With the gradually issuing of the new environmental regulations, the drilling operators focus their eye on the final solution of disposal on the drilling waste. Solidification unit is a new developed product of GN for the final treatment of drilling waste including drilling cuttings, oil bottom sludge and so on. 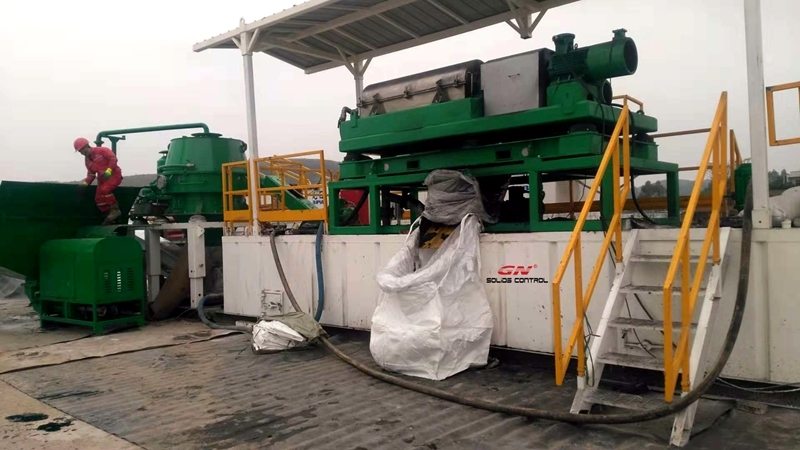 It is not firstly designed and manufactured by GN; some other world famous waste management equipment supplier already made and sent if for onsite application. 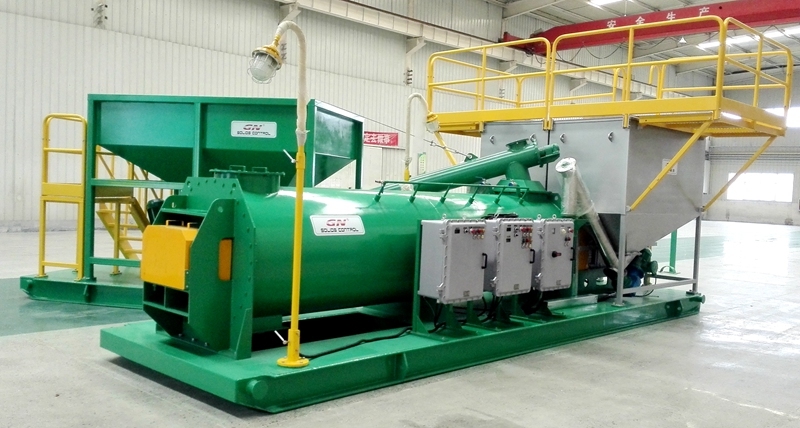 As a leading manufacturer of waste management equipment in China, no doubt, GN will develop this type of equipment. 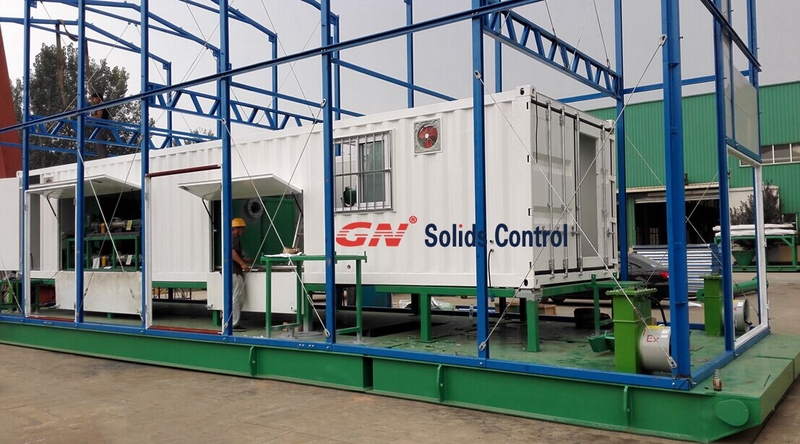 So far, GN’s solidification unit already been sent to customer’s site for application and the feedback was good. GN’s solidification unit has 2 chemical storage tanks where the operator could put the cement and lime in it. By adjusting the feeding rate, the chemicals and waste would be fed to the mixing vessel. Here the waste would become inactive material that will not pollute the soil and water. Furthermore, the discharges can be used to pave the road for site. 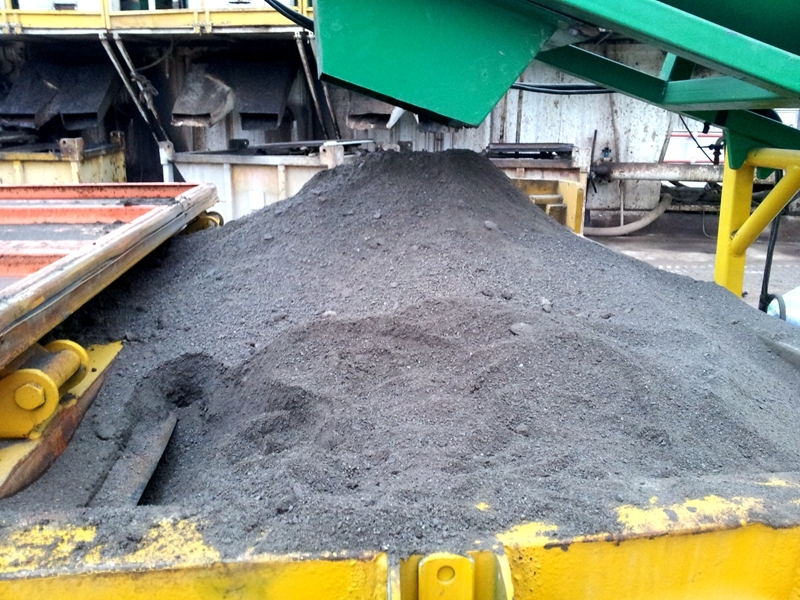 Customer firstly fed wet waste into this unit and the treatment result is not as good as expected. 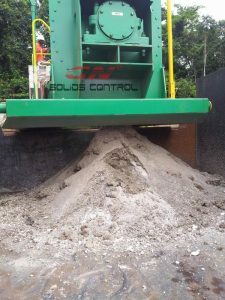 Later, GN’s engineer told them this solidification unit is used to treat the waste what firstly should be treated by the dryer unit. Like the drilling cuttings could be treated much dryer by the high G force drying shaker and vertical cuttings dryer unit. GN is also thankful for the good suggestions from customer on perfect the design of this unit. And GN did upgrade the design and make it more compact for site layout and transportation. For some points request good sealing, GN also took into consideration. 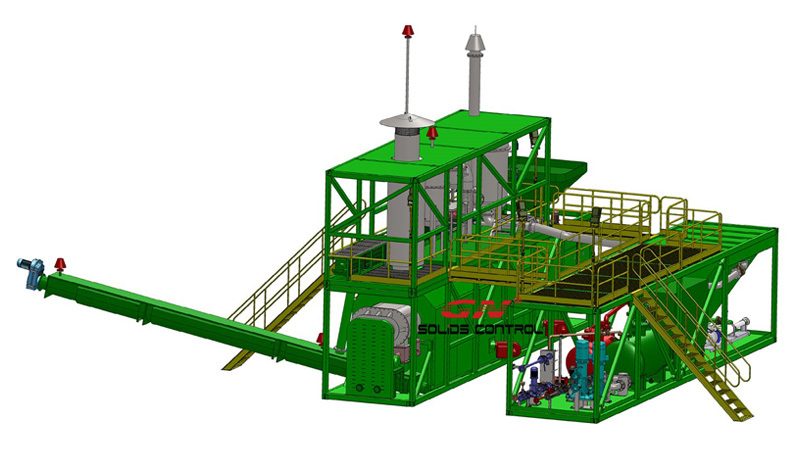 Any interest on GN’s solidification unit, please feel free to contact with us for more information. Derrick, NOV and Swaco are well known to all people who work with solids control equipment. These are the 3 big guns in this industry. It could be seen from that, almost every corner of the world, their equipment are running. During this oil business depression, most of the drillers, mud service companies and even oil field service companies who have mud engineering business abandoned these 3 brands and convert to find some other brands with cost effective price but same good quality. 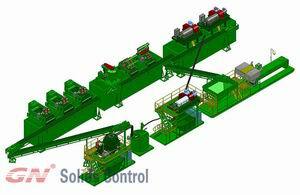 There are several solids control equipment manufacturer in China. Customers from abroad have no enough information to tell who qualified manufacturer is. 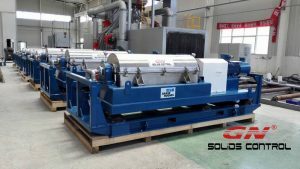 GN Solids Control devoted himself in this industry for nearly 10 years, would like to share below information on GN to tell everyone who want to make a deal with solids control manufacturer in China. GN Company was founded in the year of 2007. And 1 year later, GN got the certificates from API. From that time, GN became the first API certified solids control equipment manufacturer in China. So far, GN is also the number one solids control manufacturer who has passed most times of the examination by API in China. GN also got the certificates of ISO, HSE, CE certificates issued by DNV and Russia Customs Certificates. 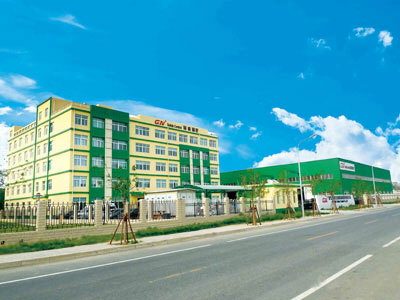 GN’s facility is up to around 400,000 square meters including 2 factories near Beijing downtown and airport, which is very convenient for customers’, visiting for business negotiation and delivery inspection. In the year of 2013, GN set up the facility (sale office and warehouse) in Houston, USA. Till now, GN has finished the inventory in Houston warehouse for several of GN main equipment like shale shaker, decanter centrifuge and cuttings dryer. For the wear parts of shaker screen, GN also has stock in Houston. In the year of 2014, GN did establish the sales office in Moscow, Russia. Only the company who is continuously researching and improving can live longer and get bigger. 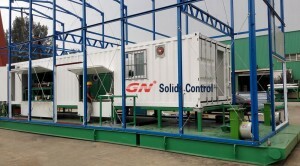 From the beginning of the foundation of the company, GN made the normal solids control equipment and system. Till now, GN can provide drilling waste cuttings management system to finally make the hazardous waste environmental friendly. GN is not only an equipment manufacturer, but also a turnkey solution provider. In the year of 2015, GN got the approval of National New High-tech Enterprise, which is the best prove of GN’s willing to be the number one of solids control manufacturer in China. Today, GN’s equipments are running in over 60 countries and regions. Many world famous enterprises have ordered from GN. 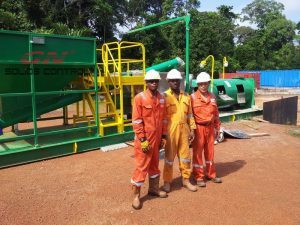 Baker Hughes, Halliburton, Shell and COSL respectively ordered waste cuttings management equipment from GN solids control. Moreover, good remarks were sent back to GN on the performance of equipment. Some of the customers even repeated order from us. If you don’t know much on GN’s equipment, or you want confirm what we done ever before. Welcome to GN, we have many real cases for potential customers to refer. Facts speak louder than words. 4 reasons would make you convinced on why GN is the top class manufacturer of solids control equipment. For other solids control brands in China, you can ask them same questions and see what answers you can get. As the first solids control company in China getting vertical cutting dryer this year and the years to come, Hebei GN Solids Control Co., Ltd has been foremost the drilling waste management technology in China with the birth connected with complete drilling waste management system which are now portion in over 10 value packs around the world. Over three pieces are in Africa where our own after sales team is doing having service now, one arranged is in Cyprus for ocean going oil based drilling cuttings therapy. Eights sets are in Italy including four sets provided last December for Baker Hughes. Yesterday, the 9th drilling waste management system is delivered to Russia together with customized insulation covers to get winterization in Russia. It is evident that many solids control vendors in China can producer and provide vertical cutting dryer and drilling waste management system, and GN Solids Control is not the one on lowest price. What GN discover is the high quality at a cost-effective and competitive price. Here is why GN Solids Control finally win many jobs after customers visit every one of the suppliers in China. The actual ninth set of drilling waste material management system to The ussr is designed to operate in frosty winter as it always is within Russia with a container as well as heat reservation cover. 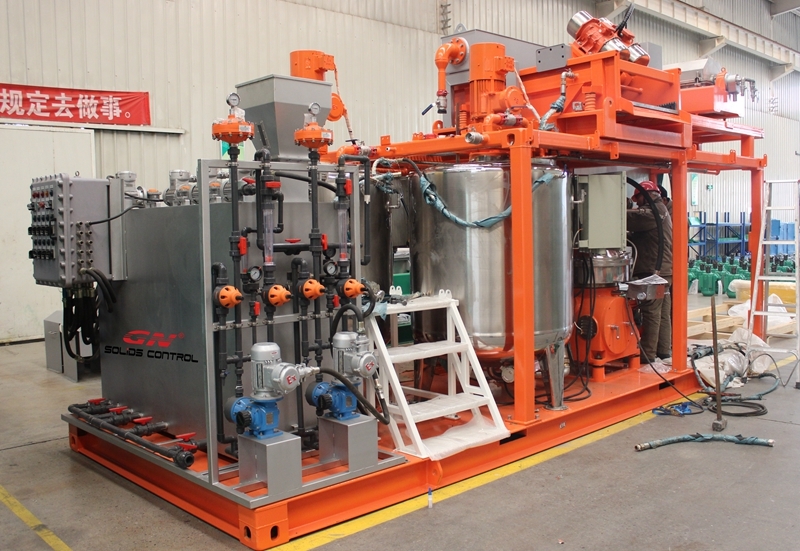 This specific sets of drilling waste materials management system totally consists of one set vertical cutting dryer with the G drive up to 750 at a twelve hundred RPM and flushing system to avoid blinding on screen basket and at liquids produce channel, two sets decanter centrifuge with one to get solids control the other for more waste treatment, three pieces screw conveyor with a couple of for feeding the up and down cutting dryer and one to get transporting dried powders, in addition to three sets screw pump with one for flushing and two for providing the decanter centrifuge. Pitless means no need to dig a pit on the ground to collect the drilling cuttings. Nowadays, though the solids control system is widely used in oil drilling, some drillers still dig a mud pit on the ground to collect the drilling waste cuttings discharged out from the primary solids control equipment. conclusion, if I can establish a pitless drilling cutting disposal system, all the problems would be solved. the pitless before the final disposal of the dry cuttings. There are Thermal Desorption Unit and solidification unit could be used to dispose the cuttings from the high G force drying shaker and Verti G dryer. These 2 systems could make the cuttings none hazardous for environment. Finally, the pitless drilling cuttings disposal system is established.